Some special education students may be successful learning in regular classrooms with their peers. Schools use different methods for special education students. Some schools place students in inclusion classes where they are educated alongside their peers in a regular classroom. Other schools may mainstream students, which is a combination of regular classroom instruction and placement in a separate special education class. Some schools refer to mainstreaming as "pull-out." What works well for one student may not work for another, so teachers must decide which method fits best for each individual student. 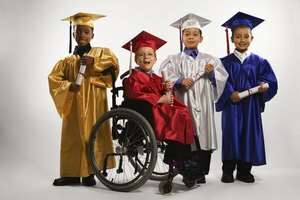 Inclusion classes have advantages for both special education students and their classmates. For special education students, the chance to socialize with other students and attend regular classes can be an exciting opportunity. By attending the same classes, all students will learn to work with different people, accept others and appreciate diversity, which may be the greatest advantage. It is also important to remember that, according to a federal law called the Individuals with Disabilities Education Act, schools must educate students in the "least restrictive environment," and for some students, this may mean the regular classroom. Not all special education students may fare well in inclusion classes because they do not receive the same one-on-one or small group instruction. Student-teacher ratios are much higher in regular classes. Students may struggle with material that is not appropriate for them, especially if the instruction moves at a swift pace, and need more re-teaching or reviewing. These may not be available in a regular class as often. Regular education teachers also may not have the appropriate training or knowledge to work with special education students, according to the regional education laboratory, SEDL. Pull-out classes may offer the best of both worlds for some special education students. Dr. Stephanie Hill, a school psychologist with over 15 years of experience, claims that since students spend part of school day with non-disabled peers, they are able to socialize with others students. Pull-out classes mean that students benefit from a smaller student-teacher ratio and more individualized instruction for some of the day states SEDL. Using this method means that special education students receive instruction and attention from both special education and regular education teachers. Pulling out students for additional services may disrupt classes and embarrass them. 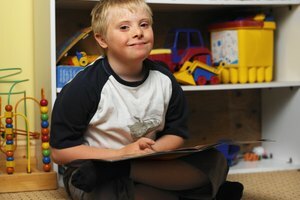 If not executed properly, the pull-out method may make special education students feel singled out, stereotyped or different from their peers. Dr. Hill states that the negative stigma associated with pull-out students is more common in the upper grades. Teachers must be careful not to draw attention to the students when they leave the classroom for special education services to avoid possible embarrassment. Anderson, Marie. "Do Special Education Students Fare Better in Pull-Outs or Full Inclusion Classes?" 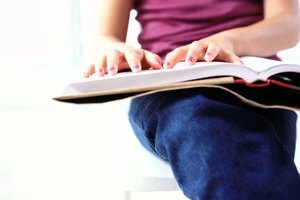 Synonym, https://classroom.synonym.com/special-education-students-fare-better-pullouts-full-inclusion-classes-14638.html. 26 September 2017.